The martial discipline of Aikido was developed, refined and so named through our Founder's rigorous daily practice and continuous study of numerous classical Japanese Martial Ways and Philosophies. 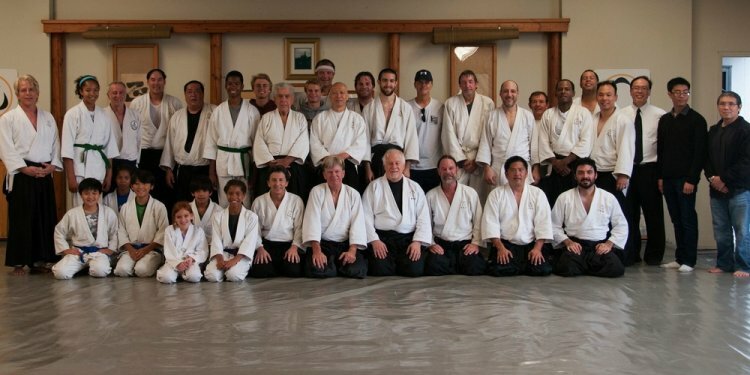 With no contests or matches of skill, size or strength, no winner or loser, the concepts and practical applications of Aikido are practiced and developed mindfully following our Founder’s philosophy and practice methodology. One must diligently practice and apply a sharp martial attitude and mindset, "Shinken Shobu, " along with constant repetition and refinement of the basics to develop a strong foundation on which to build natural instinct and compassionate response. Upon applying the proper mindset and methods to rigorous practice, one prepares mentally and physically to apply and protect oneself without hesitation where the sincerity of practice may be needed and put to the test. The unlimited potential following our Founder's path awaits those willing to make the effort and put in work.